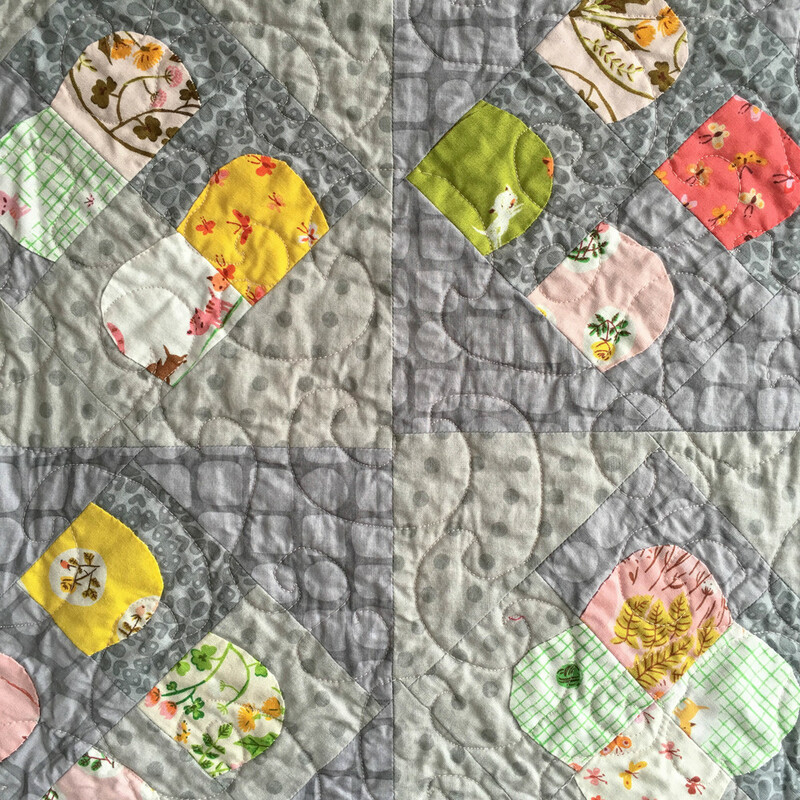 I haven't posted many quilts lately. They are made. I give them away. Sometimes I remember to photograph them. Sometimes I do not.... My quilt making is so often a response. A baby is expected. A couple is marrying. A friend, or acquaintance, is hurting. Someone needs recognition, appreciation. 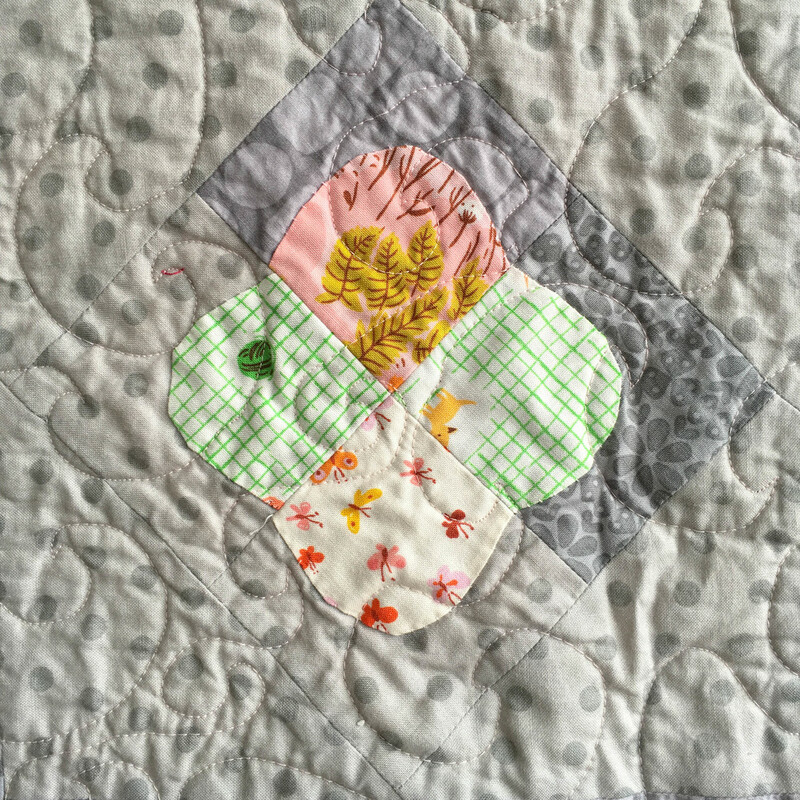 Unlike my garment making, which is primarily selfish, my quilt making is for others. They are made, and then then they go to a new home. The giving of them is almost as satisfying as the making of them. If I had the time management skills to actually execute all the quilts that I would like to give to people, I would be a very prolific quilter. But I am human, so many of those quilts never leave the confines of my mind (heart). Perhaps someday....? The finished blocks sat for a spell while I traipsed out to Pasadena for QuiltCon, but when I returned I had a fever to assemble this quilt. Perhaps it was the visual over stimulation of beautiful work out West, but I struggled, mightily, with this part of the process... Perusing Instagram, as I do (although their threat of Algorithms has been enough to make me set up an Ello account- same handle over there, let me know if you would like an invite?) I happened upon an image of blocks on point that got the wheels turning in a different direction. Just to reinforce my belief that the algorithm model is NOT the way to go, I saw this image on the feed of someone who does not post often, and who I only recently follow. Someone whose posts a mathematical equation would most certainly not show me....! But I digress. I searched out a tutorial for putting blocks on point, tried one, and liked it. Very much. I made me some ugly getting there, but then it slid into place like a key in a lock. The top assembly went fast, and then it sat again while I pondered the quilting. 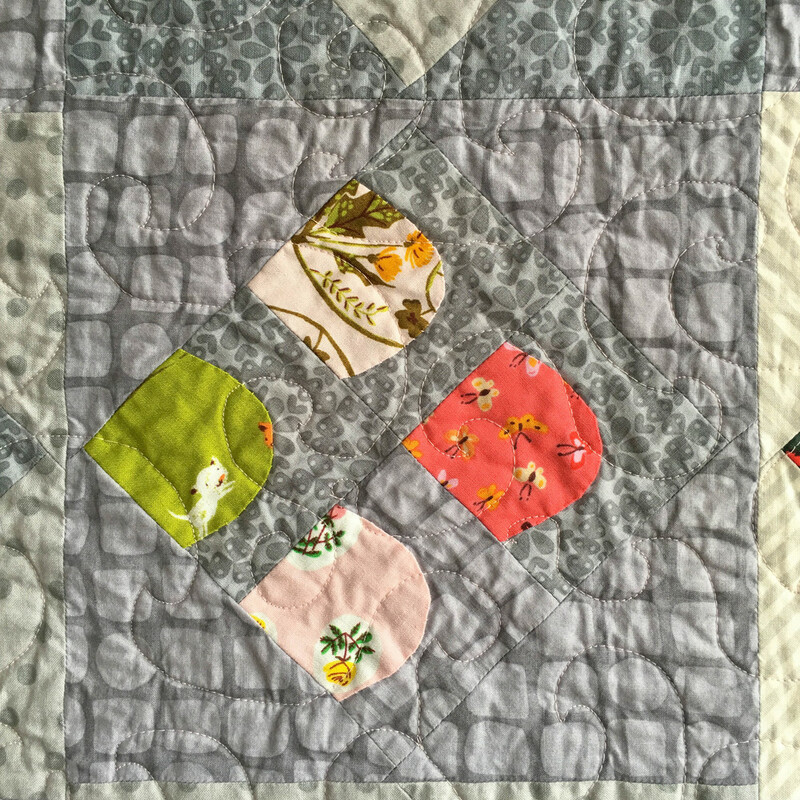 I am not a great free-motion quilter, but that is mostly because I don't practice. 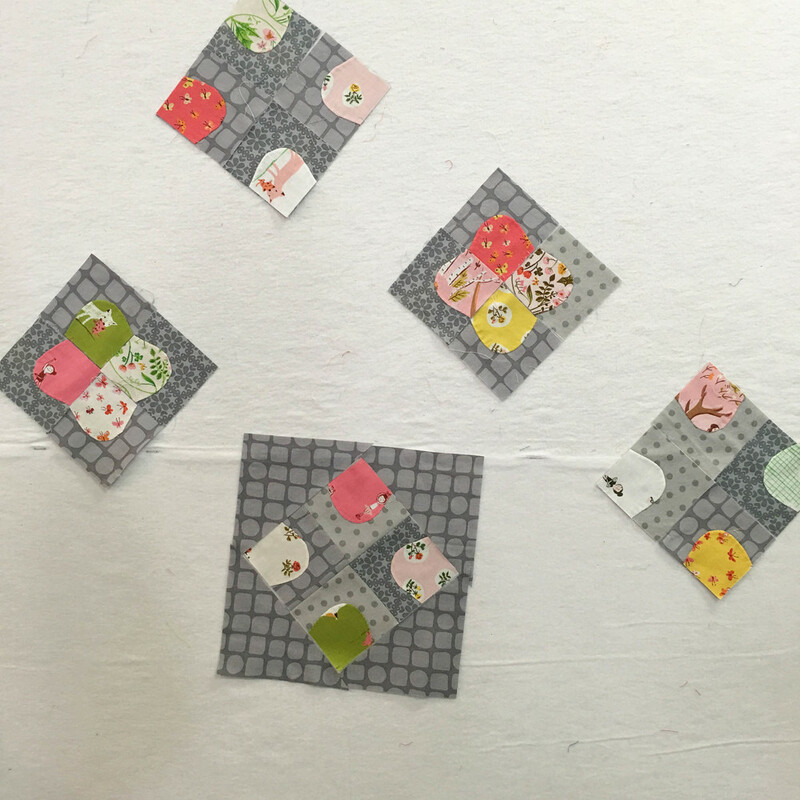 So I took this moment to do some practicing, and found for the first time that, if I keep practicing, I might actually like this part of quilting!